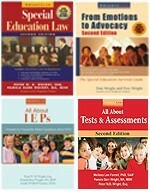 I have a son in the 11th grade who has had an IEP since the 6th grade for ADD. He is currently doing well in a modified class. His Intervention Specialist told him that he cannot make any higher than a 2.0 grade point average in this type of class. She also suggested that he no longer needs an IEP. I find it hard to believe that he can only reach a 2.0 grade point average. 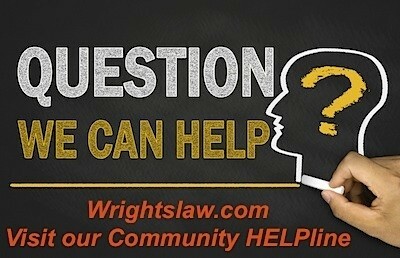 In this situation, there are two concerns: Eligibility (or Termination of Eligibility) and Transition. 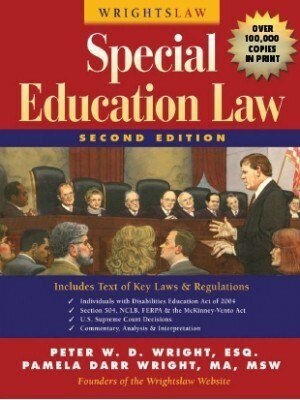 The federal special education law does not mention grades as a criteria for special education eligibility. The intervention specialist may not know this. The law was enacted in 1975 and has never listed grades as a criteria for eligibility. Don’t allow the school to terminate your child’s eligibility unless and until you are convinced that he is functioning well and can get a good job and pursue further education if he wants to. The school is required to do a comprehensive evaluation before they can terminate his eligibility from special ed. This is not a decision one or two people can make. You and the school need objective testing of your child’s academic skills to know if he is ready to exit special education. There is no reason to exit a student in the 11th grade. The special education staff is supposed to be helping your child make the transition from high school to life after school. This is an important time. The purpose of transition planning and transition services is to design the child’s educational program to help the child make a successful transition to his or her goals for life after school. Transition services include courses of study, including participation in advanced-placement courses or a vocational education programs to prepare your child for life after school. Transition services must be included in the first IEP in effect when a child turns 16. 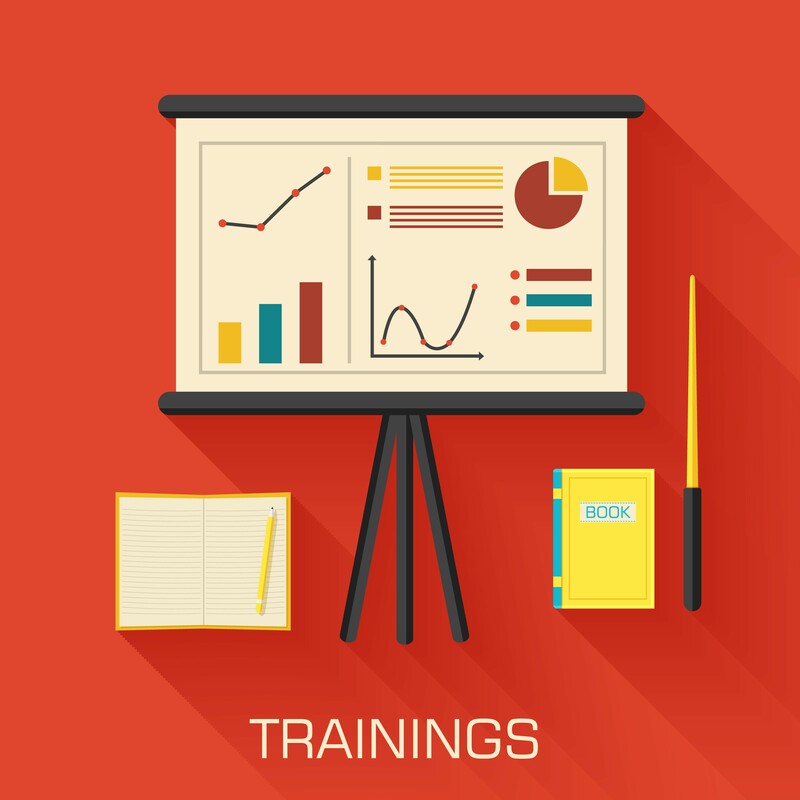 The school is required to prepare and implement a transition plan your child. Is there a copy of the transition plan(s)? What is the school doing to ensure that your child attains these goals? Will your child graduate with a regular high school diploma? If not, he is eligible until he does graduate with a high school diploma or until he ages out, usually at age 21. If an evaluation does not indicate that your child’s eligibility should be terminated so close to graduation, make sure the required transition planning is being done. 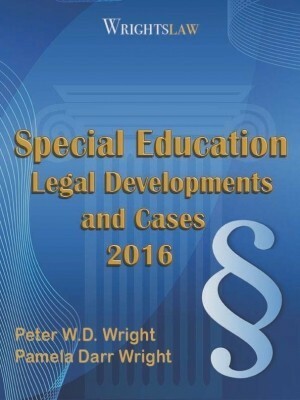 This entry was posted in Advocacy, Eligibility, IEPs, Special Education Regulations, Transition and tagged ADD, Eligibility, High School Diploma, Modified Classroom, Termination of Services, Transition by Wrightslaw. Bookmark the permalink. This is a fabulous topic and one that I think is critical to understand both in the law and practice. 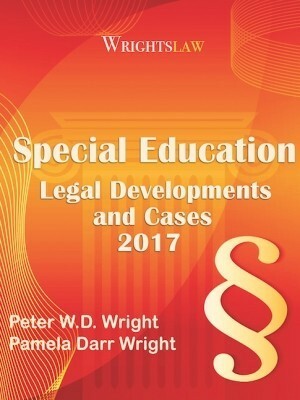 As a consultant and expert in the field, I believe IDEA and the special education guidelines need to be updated and made explicit!!! 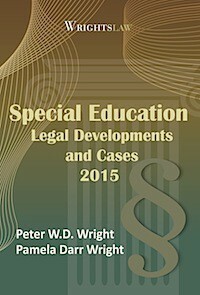 In fact, it was such a critical issue for my practice, I hired a special education attorney to do the research. What I now understand (and someone – please tell me if I’m missing something). There are 3 ways a student can exit special education. #1. Ages out. #2. The student completes all academic requirements to receive a high school diploma, #3. the student leaves on his/her own accord. I am a certified transition specialist through KU and understood through that training that if a student’s transition planning and services were not complete, then the IEP was “incomplete”, thus a student should not be forced to leave EVEN IF THE REQUIREMENTS FOR GRADUATION HAVE BEEN MET. However, even though transition services are mandated, the law does not support transition services as an eligibility in the same way as academics. My son is 18, graduated from highschool last May but has not received his diploma as he is enrolled in the transition program. We were just told he is being “exited” in May and that this decision by the school district is non-negotiable. This doesn’t seem legal, aren’t they violating his right to stay in transition til age 21? We’re in colorado. Felicia – Did the school give you a prior written notice as to why your child did not qualify for services? You also have the right to disagree with their findings & request in writing an outside evaluation at the school’s expense because you do not agree with their findings. You do not have to give any more reason than this other than you do not agree with what they have told you. Once the school receives your letter requesting this outside evaluation they may meet with you to work something out or they will give you a list of places you can go for the evaluation. You do not have to use anyone on this list and can choose your own professional. The school is obligated to consider the results of the outside evaluation. If this still does not help your situation you can hire an attorney. My son was just tested by the school system to see if he qualifies for services. He is 4 1/2 years old, has problems with expressive language and fine motor skills. His expressive lanuage issues are related to have conductive hearing loss for 3 years out of his life. This is affecting him socially because he knows his classmates can’t understand him, so they don’t play with him. He has become very anxious and chews the flesh from his fingers. The school system has denied any services although the evaluation clearly states that he scored low in expressive language and motor skills. Where do I go from here if he can’t have a IEP and the school didn’t offer a 504 plan? Where is that in the law? What is “well” and “good job” ? Yeah, lets bankrupt the K-12 system with kids who can’t make an omelet or get a “good job”. NO! they are done when they have met grad requirements, GEEZE! Although my 11th grader has had IEP status since 9th grade, he has not been utilizing many of the typical accommodations because our school district does not have adequate services appropriate to his kinds of disability (Asperger’s ). We have been providing many extra services and support outside of school under their radar. As a consequence of him doing a little better this year, they want to re-test and drop IEP status. What services can I glean from a proper Transition Plan ( if IEP stays intact) that might benefit him? At this point we are not sure if he has the skills and executive function he needs to attend a local community college or a very supportive 4 year school. I saw a mom in clinic recently whose district plans to transition her severely impaired 20 y-o child out of lifeskills class prior to age 21. Doesn’t eligibility extend thru age 21? 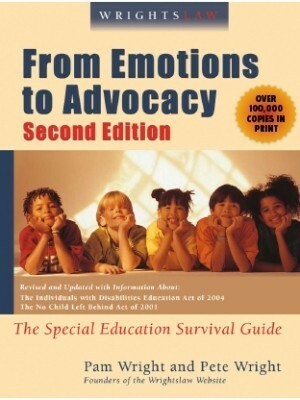 What is the impression you are getting of the future of Special Education under the new incoming Obama administration? 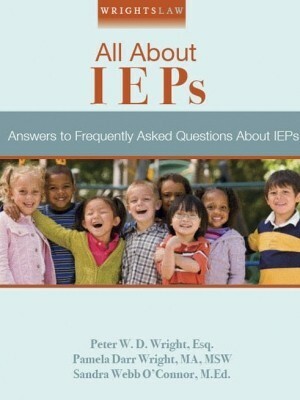 I wonder why there is an achievement limitation for a child who is on an IEP? IDEA addresses educational improvements with no desired limits. Are there limitations placed on what kids who are not on an IEP, can make? Is this a new State Standard? Our school district has safeguards in place to prevent special education students from learning too much. They do not provide the documented services or provide highly qualified staff that would cause our kids to make these wasteful educational gains. It seems that the majority of the schools in the United States allow their staff to communicate laws and rules on an as created basis. 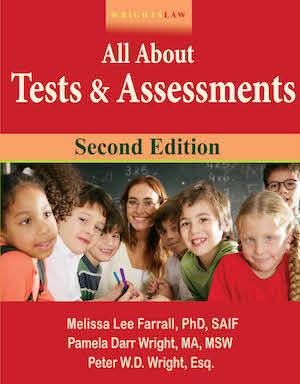 In NY, after the age of 14, a child can receive vocational testing. The problem is that this is a well kept secret. Most parents don’t know that this type of evaluation is available, and the Board of Education certainly doesn’t publicize it. I suspect that many states have this available. This can help direct your son to the classes he should take in his last year of high school to prepare him for the courses of study he may pursue in higher education. Thank you, Sharon for your input. 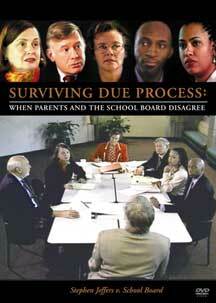 I am preparing to discuss a similar matter on transition with a New York school Special Education entity. My niece still doesn’t know what she wants to do when she graduates from high school in 2019. I believe someone is dragging his/her feet.